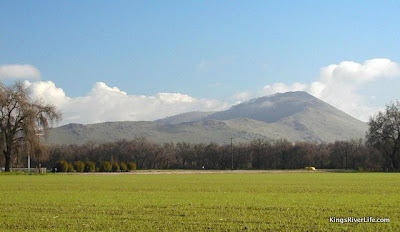 Approximately eight miles east of Sanger and bordered by State Route 180 on the south, Jesse Morrow Mountain rises over 2000 feet from the Valley floor. The mountain marks the gateway to Sequoia and Kings Canyon National Parks and stands as a sacred landmark to the traditional Choinumni people. Cemex, one of the world’s largest cement manufacturers, is currently awaiting approval from Fresno County to open a mine and reclamation project site on Jesse Morrow Mountain. The Cemex site would encompass 824 acres with approximately 450 acres used for surface mining, including a quarry and processing facility. The remaining acreage would act as an undeveloped buffer zone. The Friant-Kern Canal crosses the southwest corner of the site and the Kings River is about two miles northwest. The project calls for hard mining the mountain for concrete, gravel and other building materials. Furthermore, the Friends say that within three and a half miles from the proposed site there are two existing mines in operation, plus a third that is poised to start operations. The Draft Environmental Impact Report found that the proposed project will not pollute water in the area, but it did note several other environmental impacts that were deemed significant. Items like “substantial increase in traffic/exceeding County/Caltrans standards,” “long-term operations emissions” and “creation of objectionable odors” have various mitigation directives that are supposed to eliminate or reduce the impact. It is interesting to note however that, even after mitigation, the impact on the environment was deemed significant but unavoidable. To make the issues even more complicated, we have the traditions carried down by the Choinumni of the greater Yokuts tribal groups. Although recognized by the United States as early as 1851, when persuaded by Col. George W. Barbour to sign the Camp Belt treaty, they are the only tribe signing the treaty that has not received federal recognition. Because of this, their claims and attempts to register sacred sites go mostly unheard and they have no access to federal programs set aside for Native Americans. 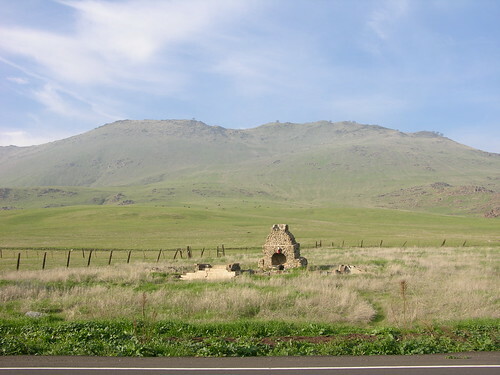 The Traditional Choinumni claim that “Wahallish” (the indigenous name for Jesse Morrow Mountain) is a sacred landmark that holds burial sites and other cultural artifacts. They claim that all the tribal descendants were unfairly represented because the Kings River Farm Choinumni Tribe was identified as the primary tribal group during the consultation process. In addition, they say the archaeological firm contracted to do the Native American consultation relied too heavily on input from the Kings River Farm tribe and other tribes that have no direct or relevant historical relationship to Jesse Morrow Mountain. 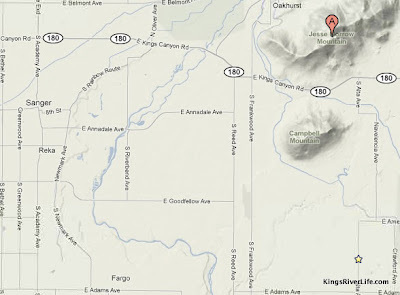 The Kings River Farm Choinumni tribe says there is nothing sacred about the mountain. That branch of the tribe appears to have already reached an agreement with Cemex involving cash and 40 acres of land where the tribe plans to build a school to teach the tribal language and history. The mining proposal has, in fact, split the Choinumni tribe. A Google search of “Cemex environmental violations” brings up over 20 pages of worldwide environmental abuse attributed to the company. Fines have been levied by the US EPA, the United Kingdom and several states. Allegedly, Cemex prefers to pay fines rather than carry out specific terms or conditions regarding the operation of their various facilities. In spite of the fact that Cemex representatives downplay the complaints of the many people and organizations in opposition to this project, Jesse Morrow Mountain is going to be changed dramatically. The moral dilemma: Do we believe in the assurances of a mega-mining company that says Jesse Morrow Mountain will essentially look the same after 100 years of mining? Do we believe that mining is going to add to our already polluted air and disappearing aquifer? Do we believe in the traditions carried down by an unrecognized group of people who claim historic ties to a mountain? Do we allow the gateway marker to some of the most beautiful places in the world be turned into concrete? Reedley resident Georgia Linscheid created a CD of old time music, with new lyrics she wrote to reflect her feelings about Jesse Morrow Mountain, sung by the Raging Grannies of Fresno. The CD is available for $15 by contacting Georgia via PO Box 1865, Reedley, CA 93654, geolinsch[at]verizon[dot]net or 559-638-2771. Past issues are good predictions of future behavior. This is a multi-million dollar company that does as it wishes and will simply take a hand slap and pay a fine. When did the world decide that changing an entire ecosystem is something to even consider? We were deemed stewards of this world and we have taken on the role of parasites. .-= A recent submission from Claire: My Personal Food Journey: Corn Syrup =-. The key issue at hand seems to be the fact that 40 acres of land will be given effectively establishing a tribal land base in an era where “Indian land” is actually being taken away. Giving land to a tribe is unheard of anymore. Native opposition to this in my opinion would seem to be either out of ignorance or old fashioned Uncle Tom ideaology. In other words something doesn’t smell right. Mona, you are right in part, but as with a lot of things this is much more complicated than it appears on the surface. These native people very much want to be recognized and allowed to continue their tribal traditions. Unfortunately the people with the closest ties to the mountain have never been a part of company negotiations, nor were their traditions considered during the allegedly unbiased archeology survey. I can certainly understand why they can’t believe anything Cemex or its supporters might have to say.